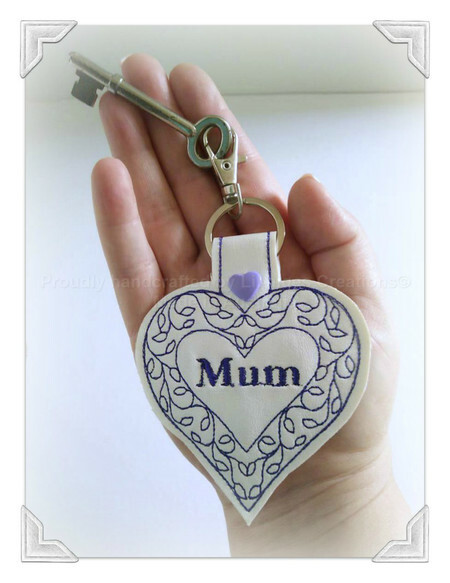 Who doesn't love hearts - especially a lovely decorated Mum heart in her favourite colour purple? 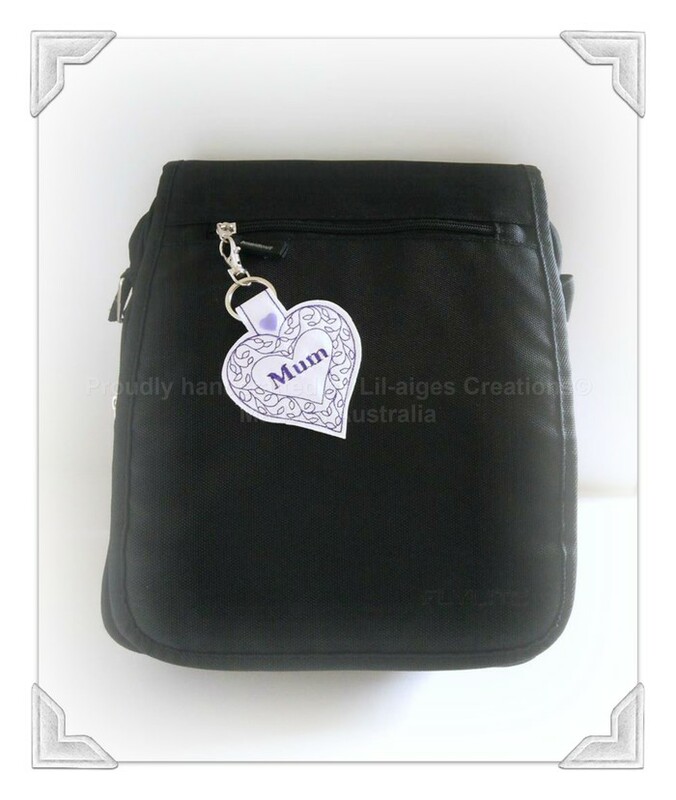 The perfect gift for Mum to keep her car keys, house keys in the same place or Mum can attach it to her handbag to remind her of how special she is to you. 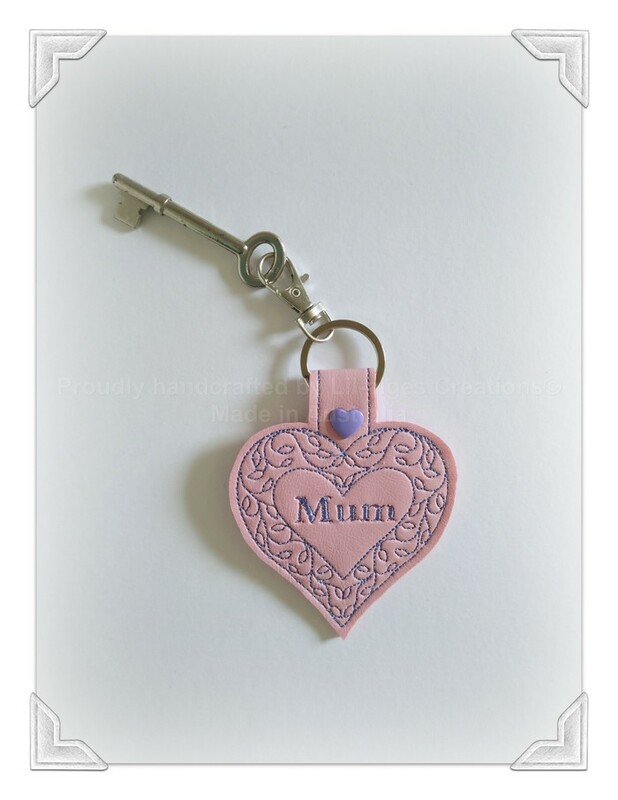 This gorgeous purple Mum key ring can be either clipped or threaded to personal belongs as it comes with both clip and ring. ***Price is for 1 purple Mum key ring/ bag tag - the bag is not included and only used for photo purposes*** Happy to combine postage, please message me to discuss further. Constructed from 2 layers of vinyl with a layer of felt. Finished off with a silver lobster snap clasp with a silver 30mm key ring. Cleaning Instructions: Wipe gently with damp cloth only. Do not iron or use heat on vinyl.